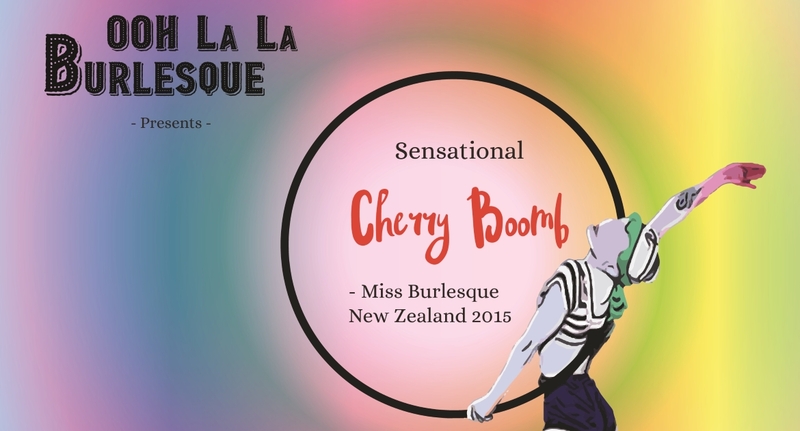 Get set for a night of Glamour, Class, Sparkle, Allure and FUN at the 3RD “OOH La La Burlesque” Show at The Meteor – starring Aerialist, Contortionist AND Miss Burlesque New Zealand 2015, the Sensational CHERRY BOOMB! After winning the Miss Burlesque New Zealand Title in 2015, Cherry Boomb lived in & performed all over the U.K. FOR 2 years including the 2016 & 2017 the Edinburgh Fringe Festival! Renowned for having “wowfactor” with her delightfully cheeky antics Cherry Boomb is definitely someone you don’t want to miss seeing perform live in “Glamilton”! The Mistress of Ceremonies for this latest OOH La La Burlesque/Cabaret Show is once again the one and only MISS GLORIOUSOLE! One of NZ’s most experienced Burlesque M.C.s, she will have you rolling on the floor with laughter as she and leads this OOH La La Burlesque Show with skill and aplomb, amongst heaps of merriment interspersed with her nostalgic songs! This Show also marks a Special Birthday for MISS OOH LA LA PAREE, who has invited some of her favourite Burlesque Performers from “Glamilton” and around NZ to perform a variety of acts for your FUN and PLEASURE! Rounding out the excitingly glamorous and highly entertaining show are two Fabulous Singers! Jazz and Blues Singer LEE PAGE enthralled our audiences at our first two OOH La La Burlesque Shows and is returning to thrill you once more, and Musical Show Singer CHRISTINE FREW will charm you with her romantic voice as she serenades you beautifully!